Karen Croskell is based at CO8, Silver West Airport, Westcliffe, Colorado. I am back into flying again with our Aerotrek 220. 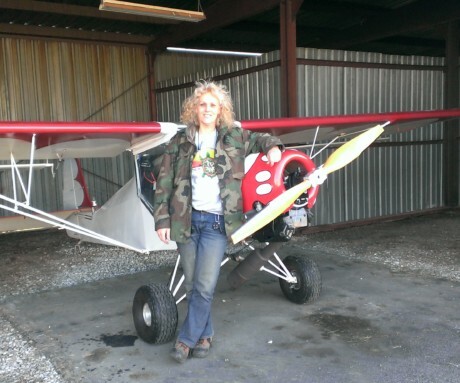 It is 500#s lighter than our Super Cub was so it takes some getting used to, especially with flaperons. Turbulence? You can feel a rabbit fart! Hope to FINALLY get to some LLT fly ins! “As a retired (early @ 52) airline pilot, 19 years @ USAirways I THOUGHT I knew how to fly but it wasn’t until we bought our first plane, a Piper Clipper (1991) that I REALLY learned how to fly! We have airplanes off & on (always TW!) since then and gliders. My husband & I met flying gliders. We had a Steen Skybolt for a while and we have had 2 Super Cubs. The Super Cub is our favorite! (From Karen) Our 2010 Super Cub Flight to Oshkosh…..
(Hubby) Trey flew the first leg in our 1956 Super Cub. We were headed for the big airshow “Oshkosh” in Wisconsin once again. In 2009 we took Chapman and his good friend Bryce and it is becoming a yearly event with more boys every year. We take turns flying and driving the support van with all the camping gear. Our Cub barely has room for a toothbrush! Trey had the Cub all fueled up for Karen and Jeff’s leg. Jeff wanted to wait in the Cub for Karen but her “mom” instinct kicked in and she made everyone go to the van for a snack. Moments later we heard the explosion, ran around the corner to see our Cub engulfed in flames. A turbine Thrush (cropduster) took a short cut across the parking ramp. Never saw our little Cub over that big long nose. Both aircraft were a total loss, the cropduster pilot survived with burns. The cropduster came up from the right rear, the only door, we never would have seen it coming. His propeller came to rest in my seat. After 6 years I’m now coming out of retirement to be a contract CFI for the USAF. We live @ Kelly Airpark, you are all welcome to fly in to visit! Take a look at Karen’s YouTube video. This is one accomplished & motivated lady! Karen…yeah! A life well lived! 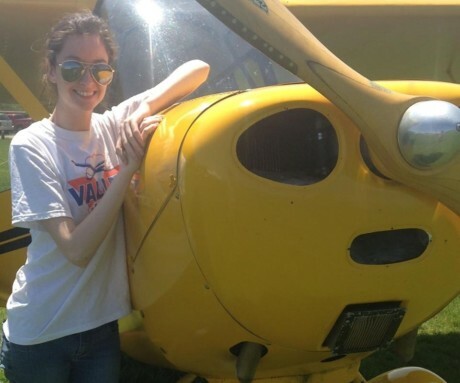 Lisa, sorry for the late response, I’ve been working ALOT, not enough time to fly our Super Cub! 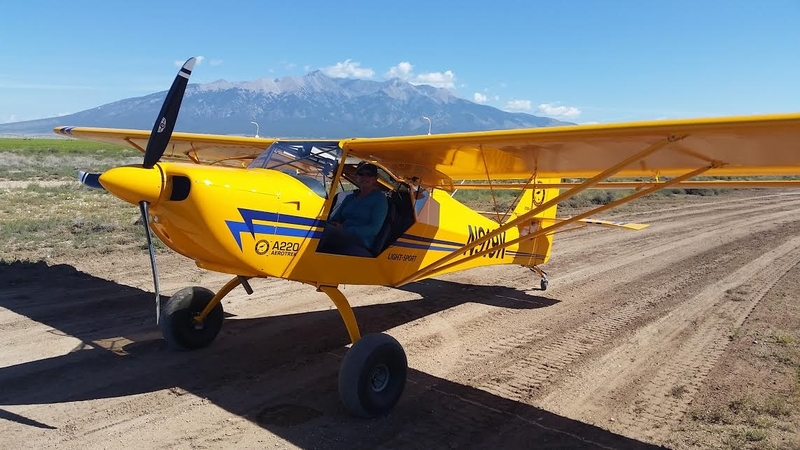 Yes we still drove to OSH after our Cub burned ane within 2 months the insurance co bought us an ever better Cub. I have gotten to commute 3 times to work in it! I am researching the Croskell family tree. Please let me know where you fit in. Please let me know names, addresses, dates of birth, marriage and deaths of your known family members. I have got back at the moment to the year 1492 but still have many gaps. Any information gratefully received. Can’t wait to meet you! Love the video! I love the video but, omg, the thrush running over your Cub? Did you get to Oshkosh?